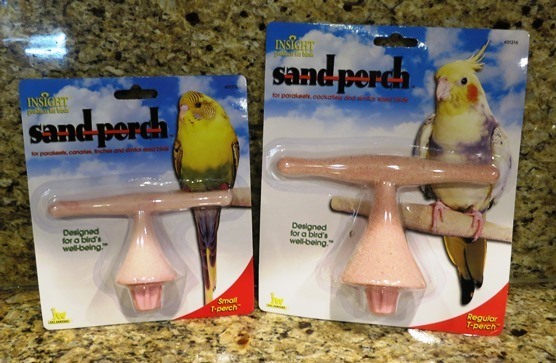 Screw on Sand T-Perches, perfect for Finches, Canaries and Parakeets. A varying diameter throughout the length of the perch also promotes exercise of muscles in the feet. The shape of this perch makes it ideal for smaller cages lacking room for larger perches while still offering a sizable area for the birds to stand.